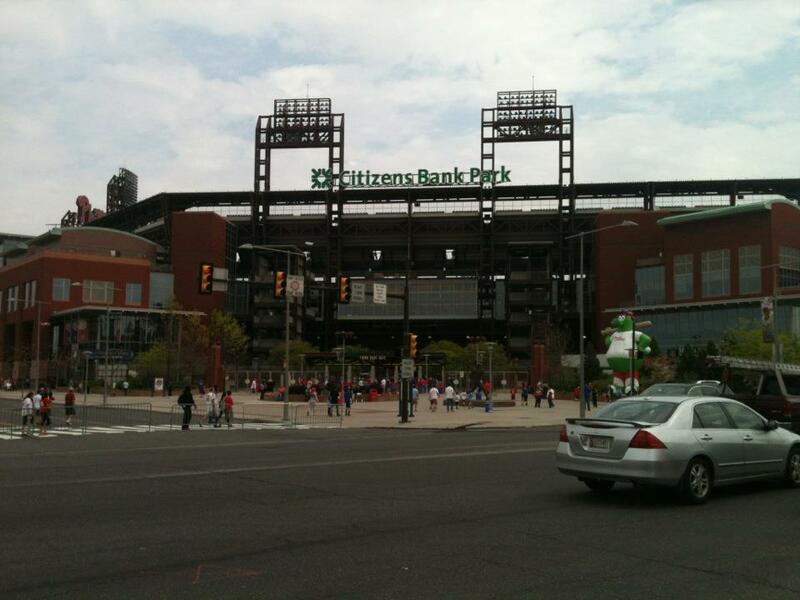 MATT VEASEY: Fangraphs ranks Citizens Bank Park poorly for "walkability"
Fangraphs ranks Citizens Bank Park poorly for "walkability"
If you’ve ever been to Citizens Bank Park you know that it is a gorgeous ballpark. Tremendous sight lines, a 360-degree open main concourse that allows you to have a view of the action as you walk around nearly the entirety, and some of the best ballpark food in the game. I wax nostalgic at times for Veteran’s Stadium. After all, it was there that I was introduced at age nine to the Phillies and Major League Baseball when the glittering new facility first opened near my South Philly home back in 1971. But even that nostalgia isn’t enough to overcome the truth, one that I recognized the very first time that I stepped foot in the new place for an exhibition game against the Cleveland Indians prior to the start of the 2004 regular season. Citizens Bank Park is better than The Vet ever was in every way imaginable. One concession made by the powers-that-be in the Phillies ownership group and with the city of Philadelphia was the actual location of the ballpark itself. In the pre-planning stages, there were discussions regarding and even plans drawn up regarding the possibilities of moving the new ballpark out of South Philly to locations either near Penn’s Landing along the Delaware River or adjacent to the Center City area. 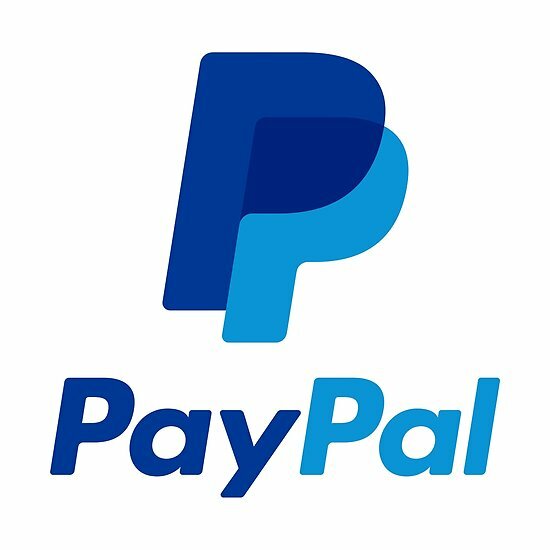 Those locations would have been in walking distance of restaurants, shops, and clubs already in place. And new such spots certainly would have opened up to service ballpark patrons for Phillies games, concerts, and other events. However, traffic and parking infrastructure was already in place at what had become known as the Sports Complex. The Vet, the Spectrum, and JFK Stadium had stood for years in the location along Pattison Avenue just east of Broad Street. As the now Wells Fargo Center, Lincoln Financial Field, and Citizens Bank Park were planned, the final decision was made to keep each of the major sports facilities right there. As they sprouted up, the older facilities were torn down. Finally, a food and drink entertainment facility known as “Xfinity Live” was also opened up in the area. The distance from the Sports Complex to any of Philadelphia’s neighborhoods, including to those downtown shops and restaurants, is the main reason that Fangraphs just placed Citizens Bank Park at 24th of the 30 facilities in Major League Baseball in their “Walkability” rankings. This was a major drop from just five years ago, when Citizens Bank Park ranked 14th in that same index. This time around, CBP was given a ‘Walk Score’ of just 38. This placed it in a tier called ‘Car-Dependent’, meaning that most errands from the immediate ballpark area would require a car. 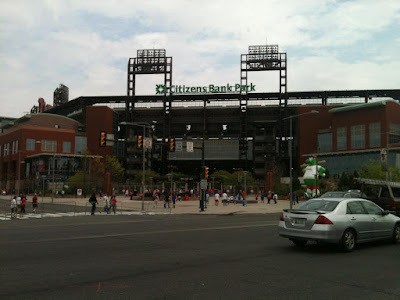 The overwhelming majority of fans who make their way to Citizens Bank Park and any of the other venues at the Sports Complex do so either via car or by taking public transportation. There is an extensively used Septa ‘Broad Street Line’ subway stop right at the location, and a pair of entrances/exits for I-95 within a short drive. Ashburn Alley along the CBP outfield is an open-air food court and kids entertainment area. But walking to a neighborhood or downtown restaurant, bar, or shop outside of the Sports Complex is a bit of a hike. Center City is roughly six miles to the north. You would have to walk over three miles to reach the clubs and shops along South Street. And those types of sites along Penn’s Landing are at least five miles away. 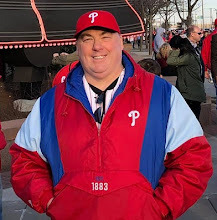 Fortunately, Citizens Bank Park has enough of a variety of restaurants and other eating establishments inside to satisfy the need of any fan. And if it’s a sports bar-clubbing-party vibe that you want, you can walk right across Pattison Avenue to Xfinity Live. When I was a pre-teen and teenager, my friends and I frequently hiked up to Veteran’s Stadium to take in a game. It was only about a mile-and-a-half or so from our homes along the 2nd Street neighborhood of South Philly. Folks from that area can and do still take that walk today. While our gorgeous South Philly ballpark might not rank high in “walkability” by some measures, while you won’t find folks walking to or from the park from places outside of South Philly, it has everything that any baseball fan could possibly want. Whether the Phillies are doing well or playing poorly, Citizens Bank Park is one of the most beautiful places to watch a game in all of baseball. With some of the best food and nicest amenities available, don’t let a poor ‘walkability’ score ever keep you away. Originally published at Phillies Nation as "Citizens Bank Park finishes 24th on Fangraphs 'Walk Score' Index"